When Viola Li returns from a trip, she develops a sudden and extreme case of photosensitivity -- an inexplicable allergy to sunlight. Thanks to her crisis-manager parents, she doesn't just have to wear layers of clothes and spaceship-sized hat. She has to avoid all hint of light. Say goodbye to windows and running outdoors. Even her phone becomes a threat. Viola is determined to maintain a normal life, particularly after she meets Josh. He's a funny, talented Thor look-alike with his own mysterious grief. 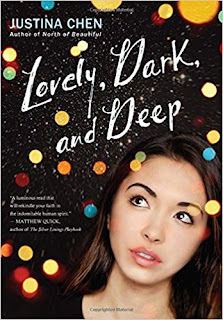 But their romance makes her take more risks, and when a rebellion against her parents backfires dangerously, she must find her way to a life -- and love -- as deep and lovely as her dreams.